For a website or digital product to be truly ‘user-centric’, we need to determine who the ‘user’ is. Each person will approach a website, system or app through their own, unique mental model, applying how they think it will be organised to each new one they encounter. Although each individual’s mental model is unique, users can be ‘grouped’ to determine their digital (dis)abilities. Generations share key aspects of their mental models, as people who live in the same period are influenced by societal values and culture, the emergence of new technologies, and experience similar events to some degree. Similarly, they share age-related elements, such as physical or cognitive (dis)abilities. Instead of making assumptions, we typically group digital users into five generations (though exact dates may vary), based on research about their mental models and how that will influence design. The Silent Generation (born in 1929-1945) lived just after World War II. Baby Boomers (1946-1964) during the economic recovery. The sceptical Generation X (1965-1979). The more technologically savvy Generation Y (1980-1999). Finally, the immersed Digital Natives (from 2000). While there are commonalities, designers need to keep in mind very different factors when planning a website or product aimed at a particular generation, or even if attempting to cater to them all. Living outside the technological environment, personal PCs only became popular when the Silent Generation reached their 50s or 60s. So, many don’t feel comfortable with digital, and some may have constraints such as reduced visual acuity and digital confidence. Despite this, don’t underestimate their digital importance: in 2012, 65.4% of the 65-74 age group in the UK were internet users, a sharp 9% increase from 2011. Partly driven by an ageing society, this indicates that digital use is rising at least among the youngest of the Silent Generation. Growing up consulting encyclopaedias, they expect the internet to serve a similar, reference function, and use it to view health information, read news or make travel reservations, for example. This generation is likely to blame themselves and give up when a website fails to perform, rather than searching for another option. They have a hesitant, careful approach to websites, double-checking forms before submission, so it takes substantially more time to complete tasks. From our experience, some will struggle with copy and paste commands, and will not understand password security implications (not considering, for example, whether a password is ‘guessable’ by others). With language in particular, we’ve noticed that how a young designer articulates sentences may not match the elder generation’s expectations. Consequently, designers should prioritise ease of use over aesthetics and consult with elderly users during the design phase. Simple changes, such as increasing type size (especially for hypertext links) take visual impairment into account, and can make a substantial difference to their experience. Similarly, dynamic features like pull-down hierarchical menus should be avoided, as they rely on a steady mouse. Clear and precise error messages should also be given. Additionally, designers can break down engagement and forms into steps (a technique called ‘progressive disclosure’), taking their memory capabilities into account, so users can continue to enter data into the form at a later point, if they wish. Wikipedia is a great example of a website that the Silent Generation may feel comfortable with; aiming to provide objective content and using standard functionality. Baby Boomers first encountered the digital world at work, half way through their working careers. Because of this, technology remains chiefly a tool, rather than a pure source of entertainment. There is a fair amount of divergence in this generation’s technological view and capabilities. As they did not grow up with technology, some lack confidence within the digital world, and adopt selectively. 80% are internet users, whether that’s for email or to search for hobbies, health, maps and news, while only 46% have made the shift across to smartphones. In contrast, others have become early adopters of new technology. First introduced to digital on the more difficult-to-handle Windows 3.1 or even Palm Pilots, they may find later iterations attractive, and easier to use. At the top of their careers, Boomers have more to spend, and are increasingly choosing to do so on technology. In 2012, a report highlighted how they controlled 70% of the disposable income in the US, and were 41% of Apple’s customer base. Perhaps the key to resolving this divergence and appeal to Boomers is ‘not to dismiss technology as irrelevant to them, but rather to figure out what technology they prefer’. An extended study reveals Boomers’ desire for technology to adapt and reflect their values and abilities. They have a vision of how technology should become a ‘force for good’ and secure benefits in key areas, like healthcare. Highly adaptable, this generation grew up amongst technological change: personal desktop computers became popular as they hit their teens, and they adopted smartphones as young adults. Generation X is the first to be entirely reliant on technology for day-to-day communication and require a balance between functionality and entertainment. 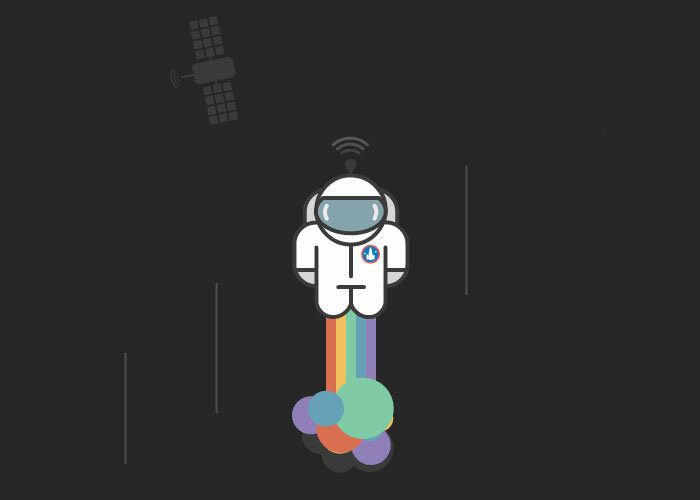 They view the internet as a place to watch videos, listen to music and build social networks. This generation is often characterised by the media as ‘stuck in the middle’ between the wealthy Baby Boomers and impatient Generation Y. So, they may have developed a somewhat sceptical mentality and are careful savers, who prefer to research and compare results before purchase. While embracing ecommerce (with 81% having made purchases online in the US last year), they have a strong preference for fast, easy-to-use websites, with clear payment information. Decisions can be further swayed by a reassuring tone, 24/7 support, and positive peer reviews. However, age has implications on design even in this generation. Research indicates that when users hit 25, the amount of time needed to complete digital tasks increases by 0.8% as they age each year, with more time being spent on each page and more visits before a task is completed. Rather than developing vastly different websites for specific age groups within this generation, this suggests that usability should be prioritised in designs. Be sure to conduct usability tests early and often, including participants across the entire targeted age range. 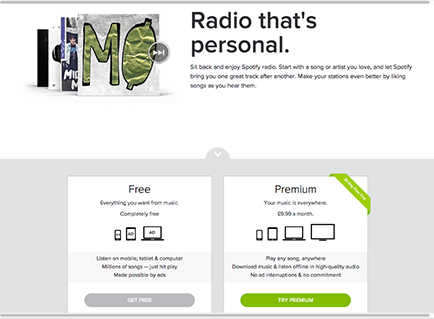 Generation X feels very comfortable with websites like Spotify’s: with a catchy ‘Radio that’s personal’ slogan, the features and purchasing options are clear, and free version justified by adverts. Generation Y, the ‘Millennials’, were the first ‘online generation’. The transition from landline, to mobile, and finally smartphones was complete as they reached young adulthood. Similarly, digital communication and social networks grew with them, as Facebook increasing by over 530 million users between 2007 and 2010. So, this generation is incredibly ‘social’, in constant connection with each other. Most keep a tab permanently open on Facebook. Used to a two-way conversation, they are influenced by peer recommendation. The opportunity to read feedback and see social likes / shares can reinforce choices. Their thinking focuses on what they can do with technology, instead of what it does for them. As serial multi-taskers, they expect the technological environment to be interactive, quick, and accessible across devices. Millennials tend to read only crucial information, preferring easy-to-scan content, broken up with headings. They can be fairly sceptical about online material, preferring depth and clearly defined adverts. Although this generation is comfortable with technology, they still prefer a clean and simple look – so, designers don’t have free reign with creative ideas. 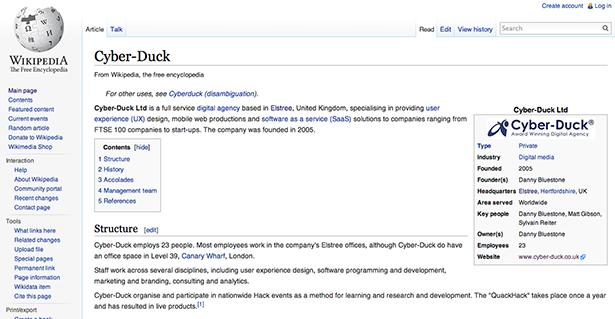 They dislike learning new user interface styles, and will quickly return to the search engine if displeased. Within this generation young adults enjoy gamified, dynamic experiences, with multimedia and quizzes. University students are more goal-oriented, and prefer choosing between multimedia or just reading more simple content, also preferring websites that help them complete goals quickly. Living with technology since birth, Digital Natives have high digital expectations, and can be incredibly impatient with anything less than perfect. As Facebook, iPhones and Google have become the standard, other interfaces must be similarly self-explanatory and intuitive. Often stereotyped as constantly connected multi-taskers, recent research indicates young teenagers and children still share many similarities with the Generation Y. They are goal-oriented and sacrifice accuracy for speed, flicking through the web for education, entertainment and conversations. While six-year-olds are on the same technological level as their parents, they are not digitally invincible. Designers must accommodate for their dramatically lower levels of reading skill and patience, without being condescending. Fun, clear design, with bite-sized content and minimized scrolling is key, including goal-oriented interactive features, such as videos, games, online voting, forums, and share features. As Smashing Magazine highlights, there is a world of difference between ‘remembering what it was like to be a kid and being a kid’. Websites must be carefully targeted to teenagers or children, and this is best done by getting them involved in the design process as early as possible, through usability testing. The younger the child, the larger the role of the parent in their digital presence, so providing information about safety, for example, is critical. This is best demonstrated by the on-going debate about the clarity and fairness of ‘in app’ payments, when targeting young children. Similarly, capturing children’s information, in registration forms for example, is highly regulated with parental consent required. 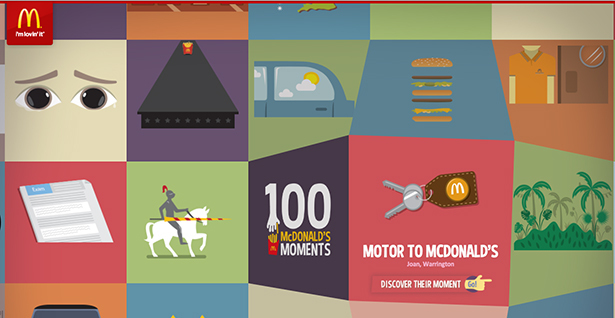 McDonalds’ Moments perfectly target Digital Natives: exploring a new, engaging way to interact, the page is design-driven, catchy, fun, and drawn from user-generated social media stories. Recent research has tended to focus on Generation Y and Digital Natives, as these are the users of the future. However, it is important to keep in mind that the people belonging to Generation X and Baby Boomers are the adults who are maximising their earning potential so are most likely to be willing to spend, even on their children’s behalf. Even the Silent Generation are bigger spenders today than Digital Natives. So by all means plan for the future by thinking about what will appeal to Generation Y and Digital Natives, but depending on the project I’d suggest you maximize the appeal of your design by focusing on older generations. Of course, the trickiest challenge is how to reach a compromise between all of these audience types, creating an experience that is accessible and engaging for all.